I create experiences using technology. I am a budding woodworker. 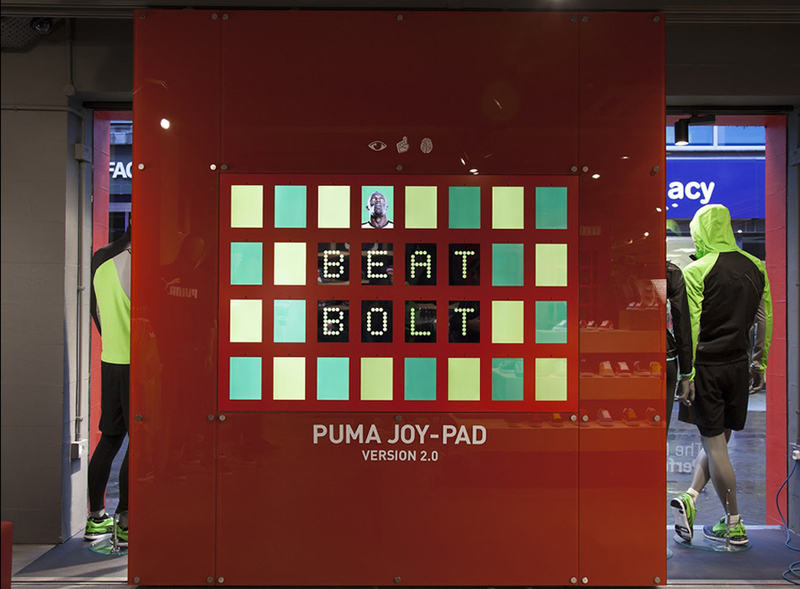 A set of interactive experiences to bring the fun back to PUMA's flagship retail stores . Rebuilding PUMA's customization business from customer to factory. A digital mirror into the world of the future featuring BMW's electric cars on the road. An experiment in short form storytelling on the mobile phone using 3 pictures and 15 seconds of audio. A project to track the spread of popular links across the Twitter network by looking at social connections in the network. Set in Stone is a pair of concrete sculptures that communicate through embedded fiber optic lights. An series of drawings created by programming autonomous actors and and allowing them to play in a bounded space. Claptime is collaborative performance that was presented at the Big Screens show at the IAC building. Remmbr was an early experiment in creating service that matches memory to location using photography. Gus is a set of digital wind chimes that use outdoor sensors to measure the wind and transmit the sound indoors. FlickrText uses the Flickr API to create visual representations of various classic poems. A SMS polling and voting verification system created to help predict results during the 2008 Presidential Election.